New for 2018, this stunning split-corona variety is a truly elegant and charming Daffodil/Narcissi. Producing classic white flowers, complemented perfectly by their cheerful yellow split cups. They produce a beautiful fragrance that will add plenty of interest to the spring garden from March/April. Height 40-50cm. 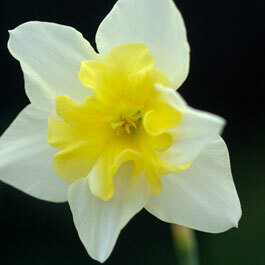 Supplied as top quality 10/12cm bulbs. Normally priced at £7.99 for a pack of 10, now only £1.99 - Saving £6.00 off RRP.